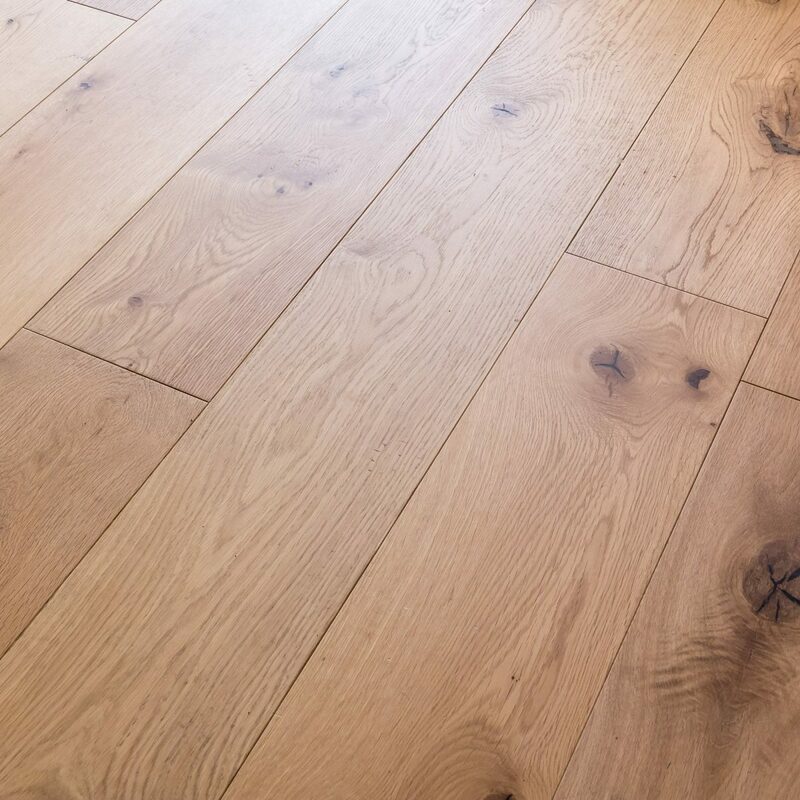 The wider face of this rustic oak plank shows off the full grain of the tree and is smooth sanded and sealed with 6 coats of UV cured aluminium oxide lacquer which protects the surface leaving it maintenance free but with the appearance of an oiled floor. Micro bevelled edges add clean lines to the rustic character filled oak board making it perfect for both traditional and modern interior design. 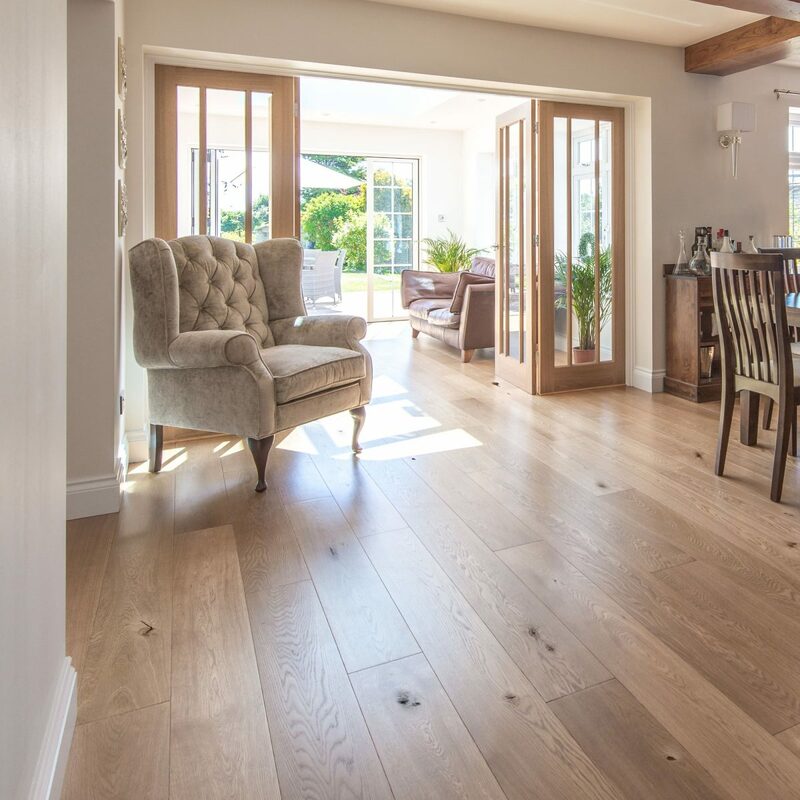 A110 is a tongue and grooved board which can be installed as a floating floor on underlay or fully bonded with floor adhesive to the subfloor. Read more about Installation here.